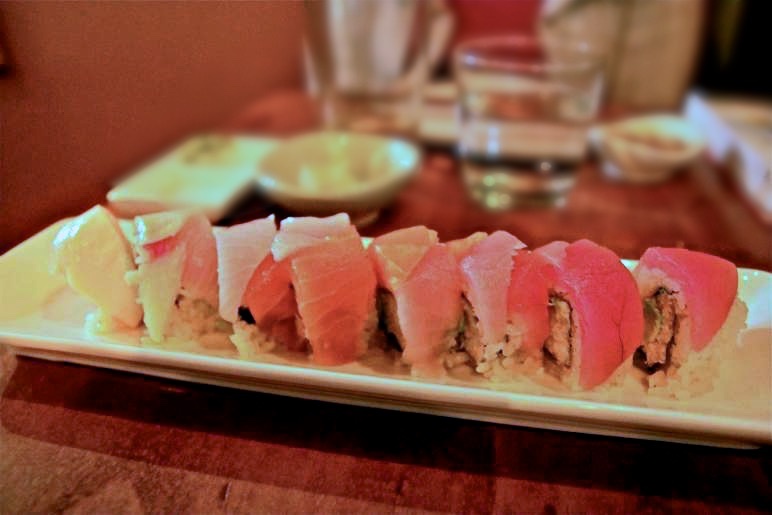 Found on the West side of 24th Street, Saru Sushi is one of newest sushi spots in Noe Valley. The sushi chef here creates sushi using local ingredients and combinations that “Californianize” the items on the menu. Creating funky fusion rolls, I embraced the creativity of this meal. I particularly loved the Naked Scallop Roll, filled with snow crab, avocado, scallops, masago, and wrapped with soy paper. The charming ambiance best fits groups of 2, 3, or 4. The tiny quarters limit the number of seats, but the restaurant does not seat many people and its popularity makes it quite crowded. Unlike most other sushi bars, there are not any opportunities to interact with the sushi chef. Fortunately I had a good food buddy with me to join me on my quest for tasty sushi in SF.